Brand-Name Drugs Can Raise Costs Without Boosting Patient Satisfaction : Shots - Health News The website Iodine has collected data about consumers' experience with prescription drugs that show generics scored highest among people who take medicines in three popular categories. In recent days, presidential candidates and even the American Medical Association have griped about rising drug prices, pointing to brand-name blockbusters with splashy ad campaigns. When it comes to patient satisfaction, however, there isn't much difference between brands and generics, according to data collected by the website Iodine, which is building a repository of user reviews on drugs. ProPublica has teamed up with Iodine, which launched last year, to add data from reviews to our Prescriber Checkup tool, which allows users to see their doctors' prescribing habits in the Medicare Part D program and compare them with others in the same specialty and state. Our drug pages (take, for example, the antipsychotic Abilify) will now include consumers' user reviews, usage statistics by state and a listing of the top prescribers in the country. "What is it actually like to take these medications?" asked Thomas Goetz, Iodine's co-founder and chief executive. "That is the nub of what we're trying to measure...The fact that a drug is a brand drug or a generic drug, for us, is immaterial to the patient experience." ProPublica compared the reviews of brands and generics in three drug categories: antipsychotic medications that treat schizophrenia, antidepressants, and drugs that lower cholesterol. Iodine asks people if a drug is worth it, whether it's a hassle to take and if it works well. 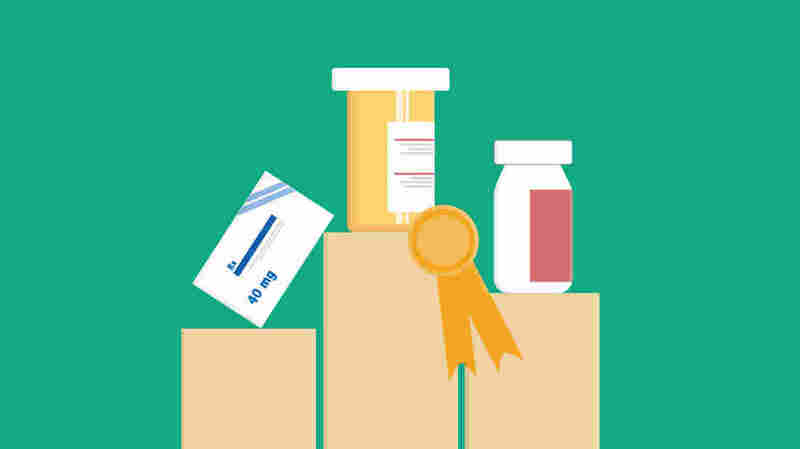 For each category of drug, a generic scored best on each of the three questions. Dr. Joseph Ross, an associate professor of medicine and a health policy researcher at Yale University School of Medicine, said he wasn't surprised that patient reviews of generic and brand-name medications were similar. "Generic medications are manufactured to be equivalent in all ways (except appearances) to brand-name medications," he said in an email. "Unfortunately, many patients and physicians are convinced to spend more and use the brand-name medication by marketing initiatives, including advertisements on the television or drug coupons that promise similar out-of-pocket expenses for the higher-cost brand-name medications." Consider antidepressants. Most drugs in the class, including Prozac, Celexa and Zoloft, are now available as generics and cost under $20 for 30 pills at Costco. By comparison, the brand-name drug Pristiq, manufactured by Pfizer, has a cash price of about $283 for 30 pills. (Those with insurance pay less, but probably still more than for a generic.) Pristiq fares worse in satisfaction than many of the cheaper alternatives. Pfizer spokesman MacKay Jimeson said that depression manifests itself differently in different people, meaning treatment effectiveness may vary, too. "Patients should work with their doctors to determine whether to use an antidepressant and, if so, which type of medication might be best for them," he said in an email. "Any treatment of depression or anxiety disorders, whether it's medication or otherwise, must be monitored carefully by a qualified health care professional." A similar phenomenon plays out for cholesterol-lowering drugs, known as statins. Zocor and Lipitor are now available as generics and are inexpensive. The drug Crestor, made by AstraZeneca, continues to have patent protection and costs more than $230 for 30 pills at Costco. (Again, insurance discounts would lower that price.) Crestor's user satisfaction score was about the same as the generic alternatives. AstraZeneca spokeswoman Michele Meixell said not all statins are alike. "The efficacy and safety of Crestor has been studied in more than 120 ongoing [or] completed trials and more than 67,000 patients worldwide over the past 13 years," she said in an e-mail. "Crestor is one of the two high intensity statins available and AstraZeneca believes it's a clinically important option for many patients, who are unable to reach their cholesterol goal with diet and exercise alone." Goetz said he doesn't know why generics sometimes have higher satisfaction than brand-name drugs, but he offered one theory. "People might have outsize expectations for what a heavily marketed drug is going to do for them," he said. "They may watch the commercials and think that any given drug is going to be the answer to all their problems. And the reality of medicine and the reality of pharmacology is that every drug has some benefits for some people and some side effects for some people, and that's the whole balance." Questions about cost and quality are likely to intensify. This week, the AMA called for a ban on direct-to-consumer advertising of drugs and medical devices. AMA board chair-elect Patrice A. Harris cited "concerns among physicians about the negative impact of commercially-driven promotions, and the role that marketing costs play in fueling escalating drug prices." Ross, the Yale researcher, said eventually the costs of brand-name medications "will catch up with us, either in the form of higher out-of-pocket payments once the coupons run out or higher health insurance premium costs." And, he added, "just because something is more expensive in health care does not mean it works better or is safer." Charles Ornstein is a senior reporter at ProPublica, an independent nonprofit newsroom.